Can you believe that the holidays are almost here? Hanukkah and Christmas are literally just a few weeks away! One of my favorite things about the holidays is baking wonderful seasonal treats.  Many of my most fond childhood memories are of friends and family gathering at my aunts’ house for an evening filled with delectable food, hugs, laughter and love. 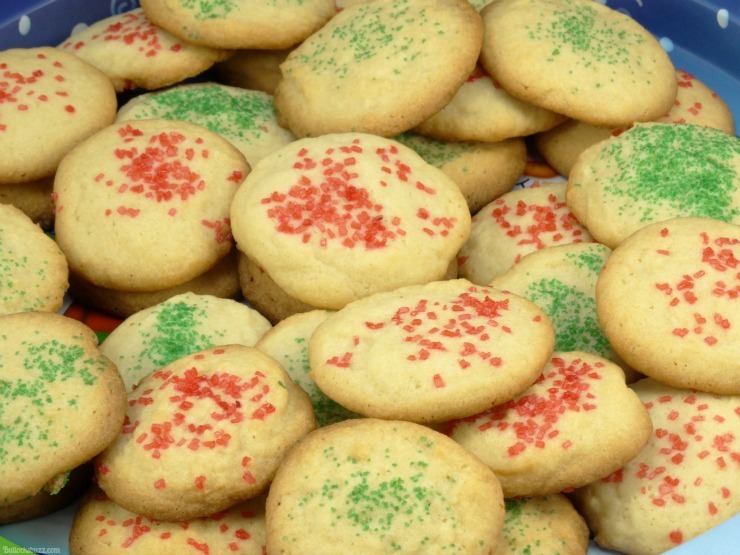 And not one holiday would pass when there wasn’t the delicious scent of vanilla butter cookies lingering in the air. Now, as an adult, whenever I smell vanilla, I am reminded of those warm and happy times. Which is why when I came across the Glade® Limited Edition Winter Collection at Publix, I just had to get a few of the Send a Little Love™ Vanilla Biscotti jar candles. After all, not much evokes the holiday spirit quite like the warm glow of candle light and the scent of baking! And after smelling that scent of Vanilla Biscotti I knew exactly what I wanted to bake: Homemade Vanilla Butter Cookies! 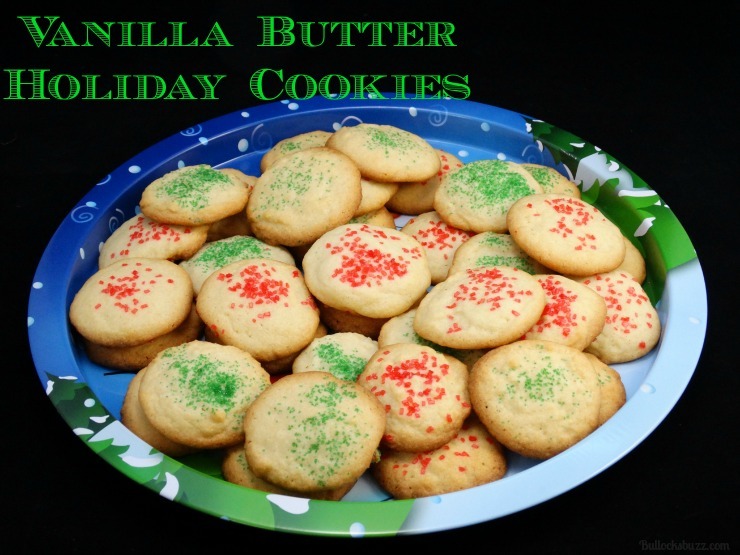 The Vanilla Butter Cookies are soft and chewy, and have a deliciously sweet, buttery vanilla flavor. 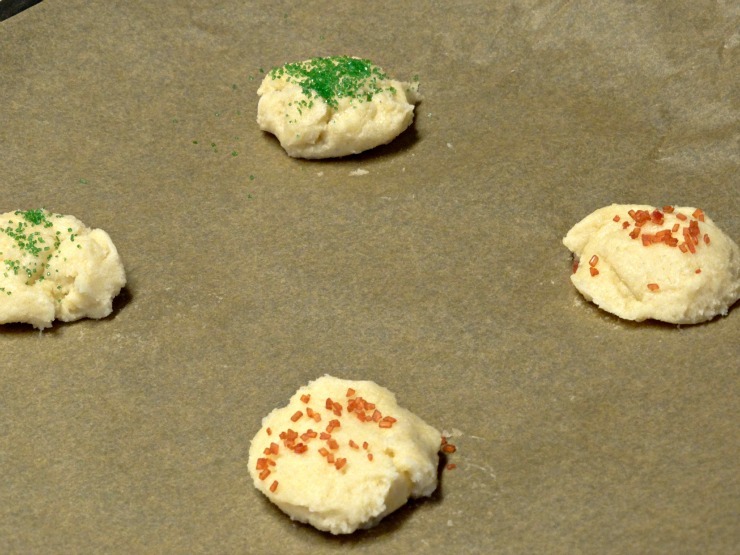 You can either make them as drop cookies, or roll out the dough and use your favorite holiday cookie cutters. They are also perfect for decorating anyway you’d like. But the absolute best part is…they are quick and easy to make! Ready to see how? 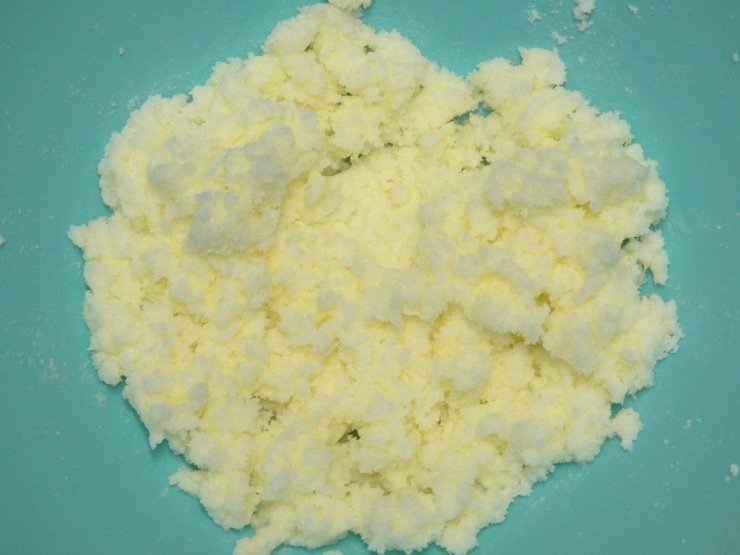 In a large bowl, cream the butter and sugar until it is light and fluffy. Next, add the egg and vanilla and mix well. 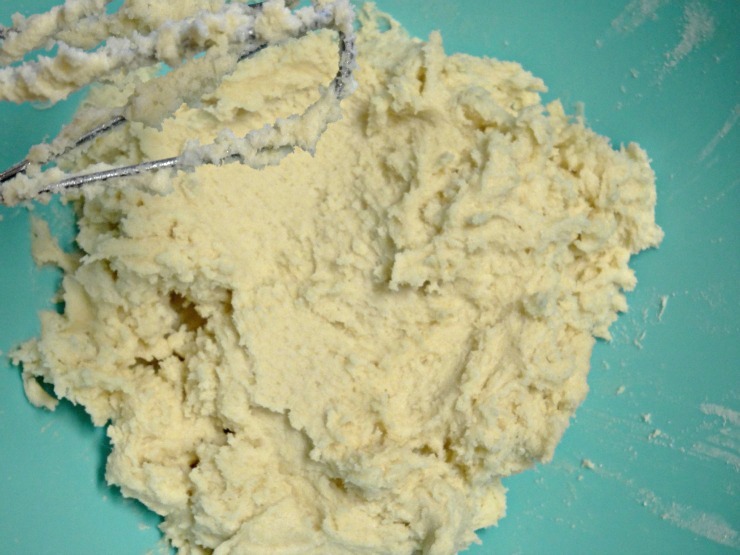 In a separate bowl, combine all of the dry ingredients, and then slowly add it to the creamed mixture and mix well. Drop by teaspoonfuls about 2″ apart onto a cookie sheet covered with parchment paper (this is a great way to keep the cookies from sticking to the baking sheet)! 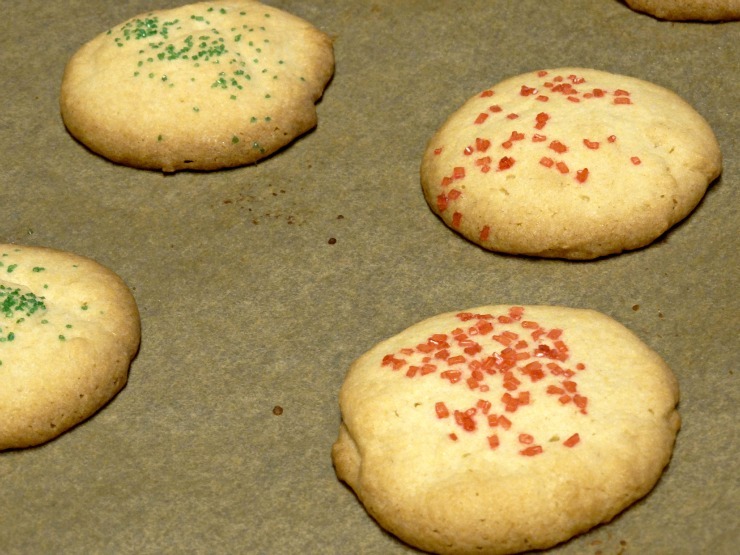 Sprinkle the cookies with the red and green decorative sugar. 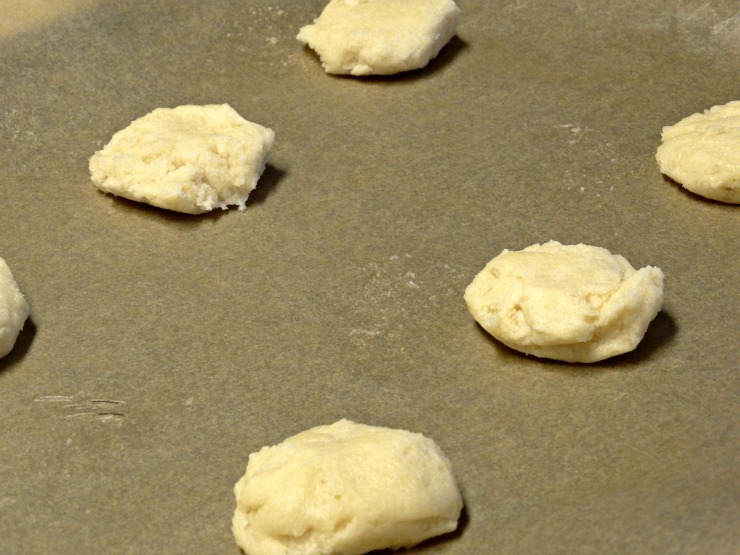 Now put them in the oven and bake at 350° for about 10 to 12 minutes, or until the edges begin to turn golden brown. 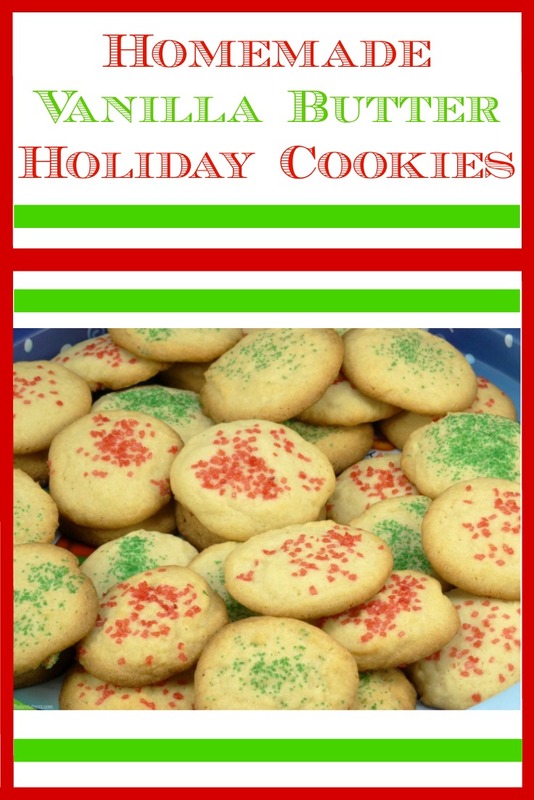 Last, but not least, remove the finished cookies to wire racks to cool. After that all you need to do is enjoy! Want to bring the holiday spirit into your home? Head to your local Publix or HEB and check out the Glade® Limited Edition Winter Collection! In addition to the Send a Little Love™ Vanilla Biscotti scent, Glade® has several other cheerful scents including Be at Peace™ Balsam Fir & Juniper, Cherish the Present™ Apple Cinnamon, and Share the Spirit™ Pomegranate Sparkler™. Each of the scents are also available in Wax Melts, Plugins® Scented Oil, and Premium Room Spray, so you can fill every room in your house with the holiday spirit! 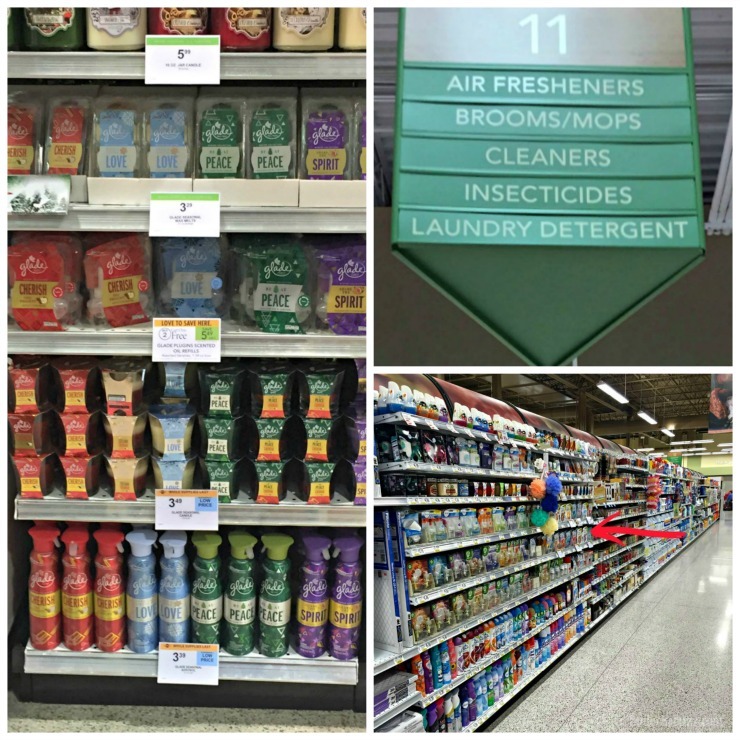 You can find them on the same aisle as air fresheners, however, some stores have the collection in a special display or on an end cap. 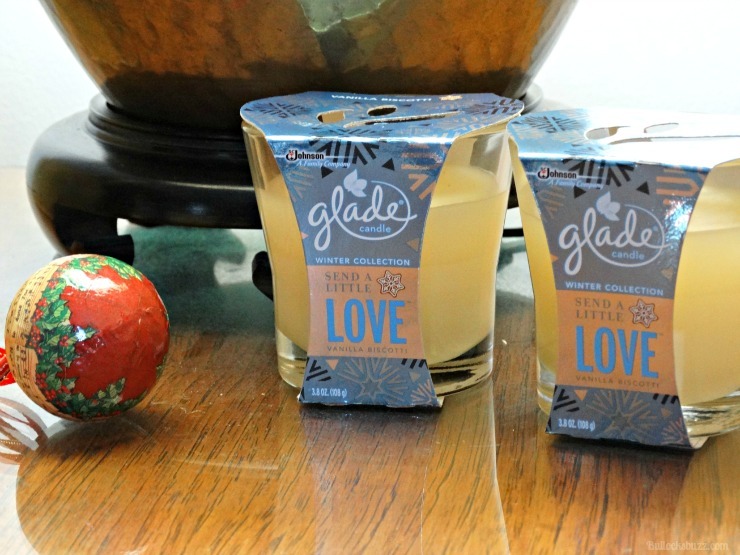 Which scent from the Glade® Limited Edition Winter Collection is your favorite? I’d love to know! 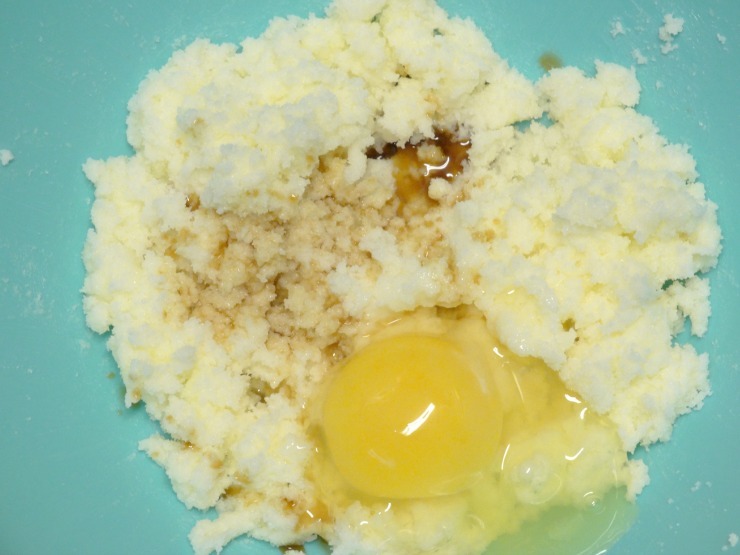 AFTER the butter and sugar have been creamed .the instruction say add egg and vanilla DO you stir the egg and vanilla, before the flour mixture is added? Yes, thank you for pointing that out! I am going to correct it now.